Daniel K. Inouye International Airport (HNL) has prepared the Emergency Contingency Plan pursuant to §42301 of the FAA Modernization and Reform Act of 2012. Questions regarding this plan can be directed to the Airport District Manager at 808 836-6533 or 836-6462. Daniel K. Inouye International Airport is filing this plan with the Department of Transportation because it is a commercial airport. HNL is operated by the Hawaii State Department of Transportation, Airports Division, who has appointed the Airports District Manager (ADM), Oahu District, to direct the airport. Name and title of person preparing the plan: Steven M. Maruyama, Airside Operations Manager. HNL operates as a Class I Airport with scheduled airline service, with a 24 hour, 7-day operation. In the event of diversion or other irregular operations events, aircraft operators should contact the Airport Duty Manager at 808 836-6434 or 808 836-6659 for assistance. 1. HNL has limited equipment and personnel needed to safely deplane passengers from air carrier aircraft. We will utilize this equipment to deplane passengers as soon as practicable after receiving requests from such airlines at the contact number listed above. We will also provide a list of airlines, ground handlers, fixed base operators and others who may have the necessary equipment and personnel to safely deplane passengers to airlines as soon as practicable after receiving requests from such airlines experiencing excessive tarmac delays at the contact number listed above. 2. HNL’s Intra-Airport Transportation (Wiki Wiki buses) will provide passenger ground transportation movements, if required. 1. The gates at HNL are under common use gate agreements to air carriers and are controlled by the Airport. We direct our common use air carrier users to make gates and other facilities available to an air carrier seeking to deplane at a gate to the maximum extent practicable. 2. An air carrier declaring an “excessive tarmac delay” will be returned to any available gate at Terminal 1 or Terminal 2, or available hard stand. 3. Terminal 2 is located on the south side of the main airport road. Terminal 2 provides facilities, such as, gates, airline ticket counters, baggage claim areas. restrooms, etc. The Concourse G is three-leveled to accept 747 type aircraft and consist of Gates G1 thru G10. Concourse E consists of Gates E1 thru E10 with Gates D1, D2, F1, and F2 being designated as frontal gates. Concourse C, consisting of Gates C1 thru C9 is three-leveled to furnish similar capabilities as Concourse G. Terminal 2 has 29 wide-body gates. Concessionaires are available and operate to coincide with airline schedules. 4. Terminal 1 is located on the West side of the airport, off the main airport road. The terminals serve local air carrier, Hawaiian Airlines, and the more than eight million annual passengers who fly between Oahu, Maui, Kauai, Hawaii Island, Molokai and Lanai. Terminal 1 will have a total of 25 gates, Gate A1 thru Gate A20, and Gate B1 thru Gate B5. Concessionaires are available and operate to coincide with airline schedules. Restrooms are also available. 1. HNL has defined sterile areas capable of accommodating limited numbers of international passengers. We will coordinate with local CBP officials to develop procedures that will allow international passengers who have not yet cleared United States Customs and Border Protection to be deplaned into these sterile areas to the extent practicable. 2. Deplaned international passengers of an excessive tarmac delay will be isolated at one of the following Terminal 2 gate holdrooms, Gate C1 through Gate C9 which are located within the Sterile Area and have direct access to the U.S. Customs and Border Protection International Arrival Building. The HNL Emergency Contingency Plan is to be distributed to all HNL assigned Air Carriers and Ground Service Agencies, and will be filed in the HNL Airport Certification Manual (ACM), Book II, Appendix B, Airport Emergency Plans. This plan will also be posted to the HNL Website, http://hawaii.gov/hnl for public viewing. 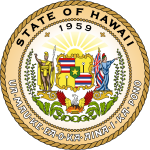 HNL Emergency Contingency Plan, dated February 28, 2017, is updated every 5 years and submitted to the U.S. Secretary of Transportation for review and approval.